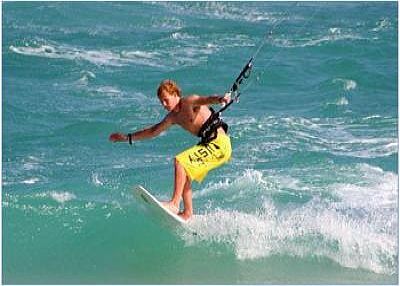 Santa Maria famous water-sports community one of the best locations in the world for wind and kite-surfing. Beautiful 3 Bed Det Villa with Private Pool + All Amenities of the Resort. A great opportunity to purchase this bargained priced luxury 3 bed villa in the 5 star Melia Tortuga Beach Resort & Spa on Sal island. This villa has a modern design, spacious layout and comes with its own plot, landscaped garden and private swimming pool. The villa has a top quality modern kitchen and is fitted with high quality branded appliances. Leading off the kitchen is the living area, which is spacious and comfortably accommodates a large dining table and sofa / chairs. The villa has large glass patio doors allowing plenty of natural light into the house which gives it a light and airy feeling. Outside the living room is a back terrace which looks over the landscaped garden and private pool. This has ample room for sunbathing and outside dining as well as splashing around in the pool. The villa has 3 double bedrooms and all come with top quality fitted wardrobes. The master bedroom has its own en suite bathroom. The bathrooms are finished with the ultra high quality Italian materials and they all have a warm and luxurious feel to them. There is a large terrace on the first floor which can accommodate a dining table and chairs (x6). This terrace has lovely views to the communal pool and at it is wonderfully lit up with lights. 4 communal swimming pools, beach club, white sandy beach, scuba diving, kitesurfing club, fast internet connection and a children's play club. The resort is close to the town of Santa Maria which has boutique shops, salons, small shopping arcades, bars, restaurants, cafes and a vibrant nightlife. Santa Maria is famous for its watersports community and is ranked as one of the best locations in the world for wind and kitesurfing. The villa is sold fully furnished which has a luxury furniture pack. The villa can be rented out on a private basis. Rental returns can be as high as 800 euros per week. Sal's main industry is now tourism. 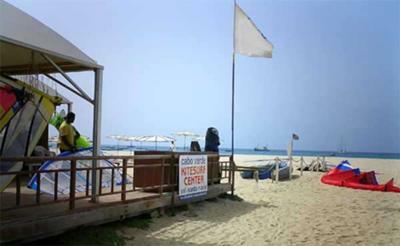 Santa Maria is the busiest beach resort in Cape Verde and hosts around 50% of the tourists each year. Sal has a great position in the ocean for water sports and Santa Maria's large coastline is a wonderful place to try out many water sports which are easily available.